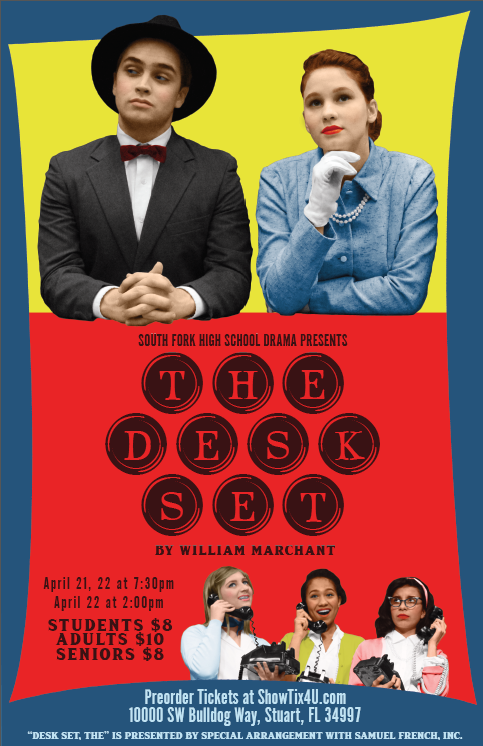 The South Fork High School Drama Department presents the 1950s comedy, The Desk Set, originally brought to life on the silver screen by Katherine Hepburn and Spencer Tracy. Bunny Watson is a woman with encyclopedic knowledge of facts and figures who works in a television network reference department. Electronic brains are installed to do the work of people, soon replacing whole departments, but Emmaracs can not best Bunny in a game of wits she causes them to blow fuses. Here is a telling comedy rich in hilarity for anyone who has ever worked in an office.